The Soweto Gospel Choir was formed in November 2002 by SHIMMY JIYANE who is the current Choir Master, as well as Choreographer, Tenor and Dancer. Their first album entitled ‘Voices of Heaven’ recorded in the December of 2002 went on to reach the No. 1 spot on Billboard’s World Music Chart within the first 3 weeks of its release in the US. Since then the choir have made a name for themselves globally and have performed at some of the most well known musical events in the world like the Edinburgh Festival, the Adelaide Festival, the Hong Kong Festival, and the London Festival, always to huge acclaim. This is the group’s third Grammy award. A media release on the SA Parliament’s website congratulated the choir for their THIRD Grammy win. The choir first won a Grammy in 2007 and again 2008, in the Best Traditional World Music Album category both times. This year’s award-winning album, Freedom, was the choir’s tribute to South African icon Mr Nelson Mandela, in commemoration of his 100th birthday. 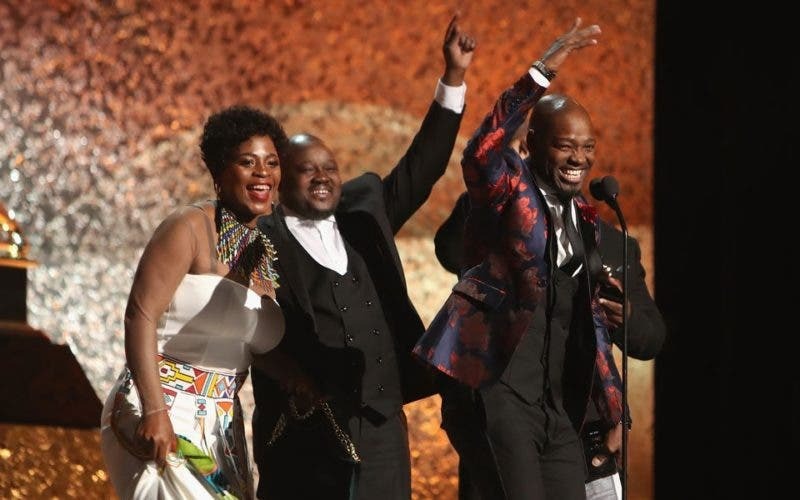 He went on to say: “The Portfolio Committee extends its heartfelt congratulations to the Soweto Gospel Choir, which received this prestigious award at the 61st Annual Grammy Awards ceremony held at Staples Center in Los Angeles on Sunday, 10 February 2019”.